West Ham boss Sam Allardyce says a move to sign Manchester United midfielder Darren Fletcher has broken down. Scotland international Fletcher, who turns 31 on Sunday, was in talks with the Hammers about moving to Upton Park after being granted a free transfer. "Fletcher broke down on negotiations this morning," said Allardyce after Saturday's 2-0 defeat at Liverpool. Red Devils boss Louis van Gaal thought Fletcher would leave but claimed West Ham only wanted the Scot on loan. He added: "That was not the agreement." 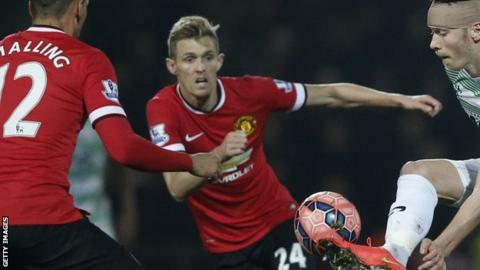 Fletcher has made 342 appearances for Manchester United but has started only five times under Van Gaal. The Dutchman said: "He is my third captain so it is not a problem for me. "Manchester United just want to help him play more. For him now that is a big pity."